I have two TP4056 modules (with protection circuit), which I am using to charge two batteries respectively, off a single power line. The modules are the ones that have charge output (B+/B-), and another regular output. I'd like to be able to use both batteries (increased capacity) to power a single load, even while charging. The batteries are rechargeable 3.7V 16340 Li-ions, same make and capacity. I'm not sure how to do this in a safe manner. I don't know if it would be safe to conjoin the outputs with this module, and I would like to avoid using diodes because of the voltage drop. 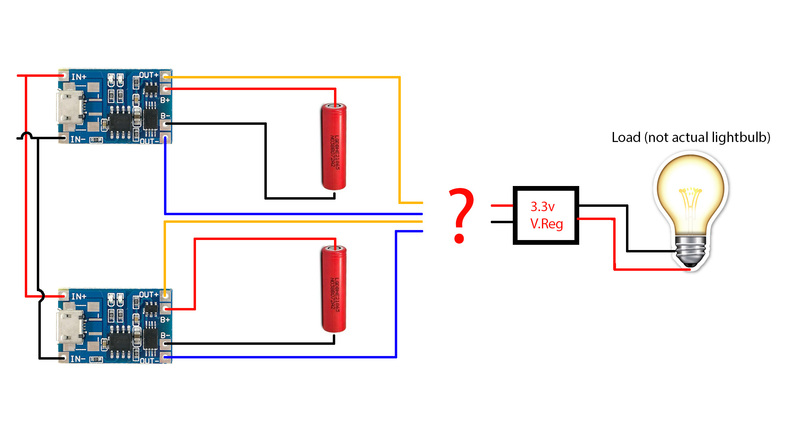 The question is: How can I make this work, in order to be able to use the device even while charging, and how can I connect the two batteries safely to the device in the first place? My use case is described in the image. EDIT: Look to the comments for an answer regarding more than two cells. As the original question was for two cells, I had to choose one of two valid answers. Just use one TP4056 and connect both cells in parallel. 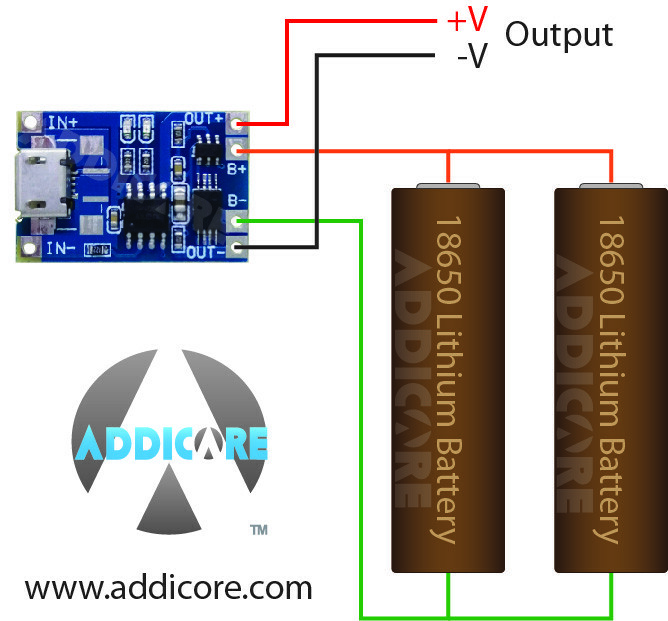 This will work because Lithium cells have a wide voltage range. So when connected in parallel they will self-balance. the TP4065 module includes over-discharge proteciton circuitry power should be takes from the out terminals of the TP4056 module, not directly from the battery. 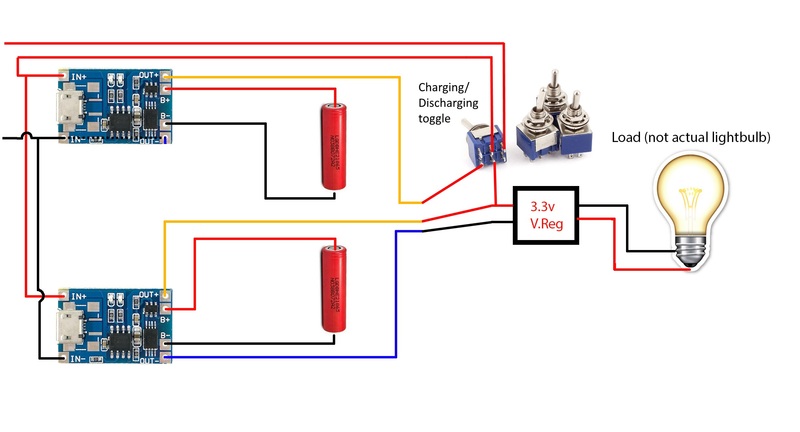 Be able to use both batteries (increased capacity) to power a single load with two TP4056 modules. Not the answer you're looking for? Browse other questions tagged battery-charging lithium-ion charger circuit-protection or ask your own question.